In May 2002, the San Francisco Public Utilities Commission (SFPUC) adopted a $2.9 billion capital improvement program (CIP), later called the Water System Improvement Program (WSIP), to rebuild and retrofit the regional water system to improve system reliability, especially to ensure seismic safety. This action was the result of intense advocacy by the wholesale customers of the regional water system. At the same time, the wholesale customers worked with state legislators who represent their service areas to secure state legislation to ensure the system is rebuilt. AB 1823 (Authors: Assembly members Louis Papan and Joe Simitian) enacted in 2002, amended the state water code to require the SFPUC to adopt and implement the WSIP, and to submit progress reports to the Joint Legislative Audit Committee, the California Seismic Safety Commission and the Department of Health Services, among other requirements. Many parts of the regional water system are 75-100 years old and/or do not meet today’s seismic codes. 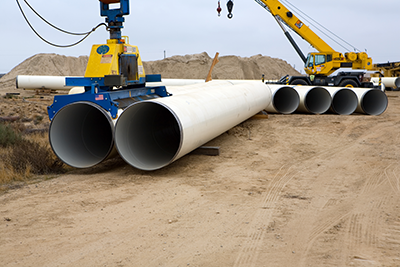 Major pipelines cross active earthquake faults and according to the U.S. Geological Service, there is a 70 percent likelihood that an earthquake, the size of the devastating 1906 San Francisco earthquake, will occur within the next 30 years. As reported in one SFPUC study commissioned in 2000, a major earthquake could cripple the system to such an extent that service might not be restored for 20-30 days or longer. For this reason, AB 1823 purposefully singled out nine key projects among the 38 projects in the WSIP for quick action. These nine projects are intended to ensure that should a large seismic event occur, the system can remain relatively intact and continue to deliver water to the 2.4 million people and business that depend on it. 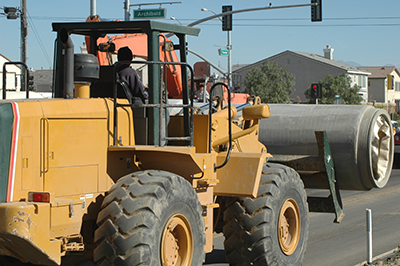 The cost to make these improvements is shared in proportion to water delivered between San Francisco and its regional customers in Alameda, Santa Clara and San Mateo counties. As the outlying areas consume about two thirds of the water delivered by the SFPUC, two thirds of the cost of the regional WSIP is borne there. For the average homeowner, the monthly residential water bill is expected to nearly double, from the current $35 to nearly $60. (Additional improvements in local distribution systems are estimated to add another $15 to one’s bill.) The good news is that the increase in rates will be phased in over the next 10-12 years. When these projects are completed, the total increase in one’s water bill amounts to about a dollar a day. Thus, for the price of a can of soda, residents will be ensured the delivery of safe and reliable water for years to come. For more information, see the BAWSCA AB 1823 Fact Sheet (27K PDF) or visit www.leginfo.ca.gov, Water Code 73500. 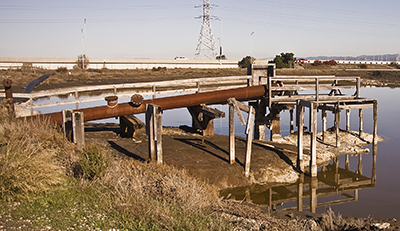 The WSIP could be funded with revenue bonds issued by the San Francisco Bay Area Regional Water System Financing Authority, which was created by SB 1870 (Author: Senator Jackie Speier). Under SB 1870, the SFPUC must ask the Financing Authority to issue bonds or otherwise secure funds. SB 1870 also requires the SFPUC to enter into a contract with the Financing Authority that dictates the conditions under which the Authority will provide revenue bond proceeds to San Francisco, including identifying projects for which the proceeds are to be used. For more information, see the BAWSCA SB 1870 Fact Sheet (39K PDF) or visit www.leginfo.ca.gov, Water Code Section 81600.